That would be sweet, indeed. 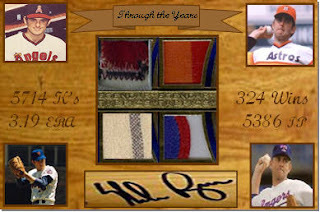 There could be a Nolan Ryan, Reggie Jackson, Curt Schilling, Roger Clemens (which I would have to have). Rickey Henderson could have one that is continued on a second card, even. 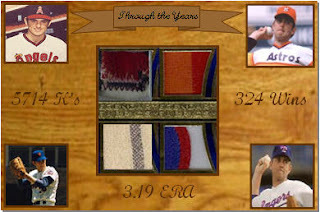 I would like to see a card featuring Nolan Ryan and Robin Ventura with a swatch of Ventura's bloody jersey. Gaylord Perry could be a 3 card set. I agree, this would be an awesome set. I smell a Topps gimmick name..."Turn Back the Swatch"